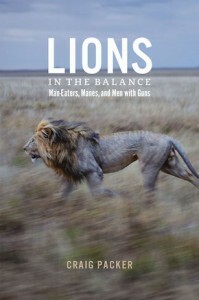 From an expansive profile of lion expert and University of Chicago Press author Craig Packer at the New York Times: Like many scientists, Dr. Packer, a professor of ecology, evolution and behavior at the University of Minnesota, has fought his share of battles in the pages of professional journals. But he has also tangled with far more formidable adversaries than dissenting colleagues. He has sparred with angry trophy hunters, taken on corrupt politicians, fended off death threats and, in one case, thwarted a mugging. Like the lioness, his opponents discovered that he is unlikely to give ground. “My reflex is to confront the danger and go right at it,” he said. Dr. Packer’s boldness — he concedes some might call it naïveté — eventually led to the upheaval of his life in Tanzania, where for 35 years he ran the Serengeti Lion Project, dividing his time between Minnesota and Africa. Assisted by a bevy of graduate students, he conducted studies of lion behavior that have shaped much of what scientists understand about the big cats. But in 2014, Tanzanian wildlife officials withdrew his research permit, accusing him of “tarnishing the image of the Government of Tanzania” by making derogatory statements about . 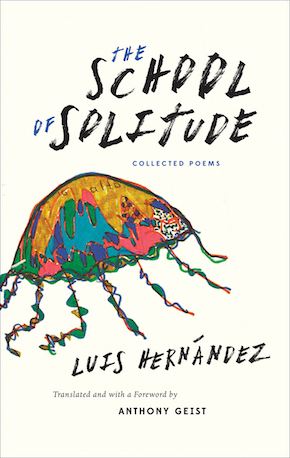 . .
Eduardo Lalo, as a review in Necessary Fiction notes, is a name familiar to very few English readers. “At the time of this review, a Google search of ‘Eduardo Lalo’ turns up very little in English—only a basic Wikipedia page. One hoping to read more about the author must brush up on one’s dusty Spanish skills.” The Cuban-born Lalo, however, began to gain more cosmopolitan acclaim with the publication of his book Simone, which won the Rómulo Gallegos International Novel Prize, an award that aims to “perpetuate and honor the work of the eminent novelist and also to stimulate the creative activity of Spanish language writers.” (The award is somewhat comparable, though much larger in scope, to the Man Booker Prize.) ” On the heels of the award, the the book’s first English language translation, by David Frye, has recently been published by the University of Chicago Press. 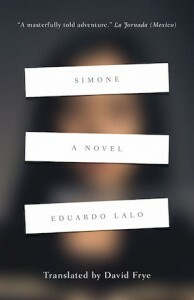 The plot arc of the novel is complex, and the book’s narrative fealty vacillates between the subject positions of a self-educated Chinese immigrant, a jaded novelist, and the eponymous Simone. From Necessary Fiction, which manages to condense the core of what is at stake for Lalo: Just when we have uncomfortably settled into . 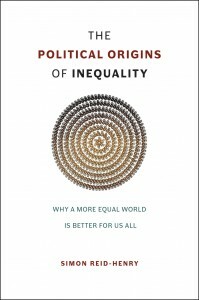 . .
“How To Spread the World’s Wealth beyond Corporate Elites,” from The Political Origins of Inequality: We have reached a crossroads in our history. For all the achievements and riches of our time, the world has never been so unequal or more unjust. A century ago, at the time of the First World War, the richest 20% of the world’s population earned eleven times more than the poorest 20%. By the end of the twentieth century they earned seventy-four times as much. Today, despite seven decades of international development, three decades of the Washington Consensus, and a decade and a half of Millennium Development Goals, our world is even more divided among the haves, the have-nots, and—as President George W. Bush once quipped in an after-dinner speech—the have-mores. When it comes to wealth, rather than income, the picture is more extreme. Globally, the richest 1% now own nearly half of all the world’s wealth. The poorest 50% of the world, by contrast—fully 3 billion people—own less than 1% of its wealth. Anyone with assets of more than $10,000 a year is an exception to the global norm and is better off than 70% of everyone else alive. Yet most of us . 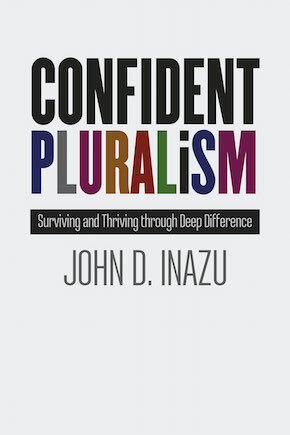 . .
John Inazu (author of Confident Pluralism: Surviving and Thriving through Deep Difference) and Karin Tani recently published an op-ed at the Los Angeles Times, “The Japanese American internment decision: A dangerous relic,” on the anniversary of the Korematsu vs. the United States verdict, and the ominous legal precedent it established. A frightening direct quotation from later in the piece: “Last year, Supreme Court Justice Antonin Scalia told law students at the University of Hawaii that ‘of course Korematsu was wrong,’ but ‘you are kidding yourself if you think the same thing will not happen again. '” *** Friday marks the anniversary of one of the most infamous legal decisions in the history of our country, Korematsu vs. United States. Seventy-three years ago, during World War II, the United States government forcibly removed 110,000 Japanese Americans from their homes and confined them in detention camps. Loyal citizens lost their property and liberty, based solely on their ancestry. The Korematsu decision validated that action: Relying on a deeply flawed evidentiary record — which included blatant racial animus, hyperbolized threats and misrepresentations by government lawyers — the Supreme Court ruled that the need to protect against the threat of espionage outweighed individual rights. The federal government has . 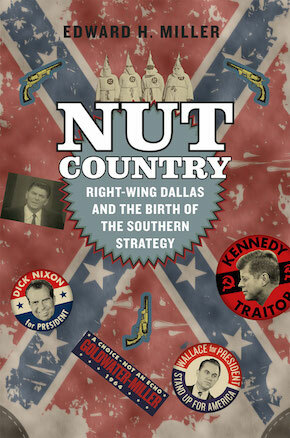 . .
From Sam Tanenhaus’s review of Nut Country: Right-Wing Dallas and the Birth of the Southern Strategy for the New York Times Book Review: Whenever we’re in danger of forgetting that the modern Republican Party is captive to a movement, one new excitement or another will jolt us back to reality — whether it is a trio of high-flying presidential candidates who’ve collectively served not a single day in elective office or an uprising by congressional Jacobins giddily dethroning their own leader. Each new insurrection feels spontaneous even as it revives antique crusades to abolish the Internal Revenue Service, “get rid” of the Supreme Court or — most persistent of all — rejuvenate the Old South. Half a century before Rick Perry indicated secession might be an option for Texas, John Tower, the state’s first Republican senator since Reconstruction, accepted the warm greeting of his new colleague, Senator Richard Russell, the Georgia segregationist, who reportedly said, “I want to welcome Texas back into the Confederacy.” Tower is one of the more statesmanlike figures in “Nut Country,” Edward H. Miller’s well-researched and briskly written account of Dallas’s transformation from Democratic stronghold to “perfect test kitchen” of a new politics of Republican protest that combined . 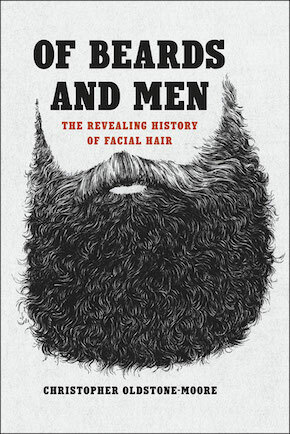 . .
From Matthew Schneier’s review of Christopher Oldstone-Moore’s Of Beards and Men: The Revealing History of Facial Hair for the New York Times Book Review: Oldstone-Moore, a lecturer in history at Wright State University (and, at least as recently as his faculty head shot, a beard-wearer), approaches facial hair as an index of the vertiginous roil of masculinity itself. “Whenever masculinity is redefined, facial hairstyles change to suit,” he writes. “The history of men is literally written on their faces.” In considering the subject, Oldstone-Moore is in good company. The Supreme Court, the Roman Catholic Church, Rousseau and Plutarch have all weighed in on the subject. He is monomaniacal in his attentions, charting the course of human history in the reflection of a razor. Like Zelig, at any given moment in history, beards were (or, as suggestively, weren’t) there. ­Oldstone-Moore finds them (and their corollary, mustaches) everywhere: in ancient Sumer and ancient Rome; in the Bayeux Tapestry, the plays of Shakespeare and the poems of Whitman; in the courts of Europe as well as its festering proletarian dens. (One of the book’s acknowledged shortcomings is the demographic limit of its ­focus, largely on Western Europe and the United States.) Even in our current beard­ophile . 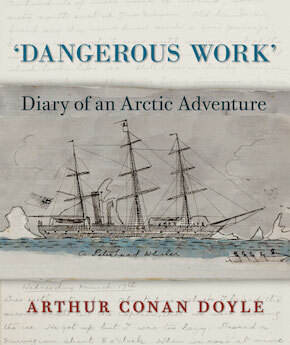 . .
Our free e-book for December: Dangerous Work: Diary of an Arctic Adventure by Arthur Conan Doyle *** This e-book features the complete text found in the print edition of Dangerous Work, without the illustrations or the facsimile reproductions of Conan Doyle’s notebook pages. In 1880 a young medical student named Arthur Conan Doyle embarked upon the “first real outstanding adventure” of his life, taking a berth as ship’s surgeon on an Arctic whaler, the Hope. The voyage took him to unknown regions, showered him with dramatic and unexpected experiences, and plunged him into dangerous work on the ice floes of the Arctic seas. He tested himself, overcame the hardships, and, as he wrote later, “came of age at 80 degrees north latitude.” Conan Doyle’s time in the Arctic provided powerful fuel for his growing ambitions as a writer. With a ghost story set in the Arctic wastes that he wrote shortly after his return, he established himself as a promising young writer. A subsequent magazine article laying out possible routes to the North Pole won him the respect of Arctic explorers. And he would call upon his shipboard experiences many times in the adventures of Sherlock Holmes, who was introduced in . . . 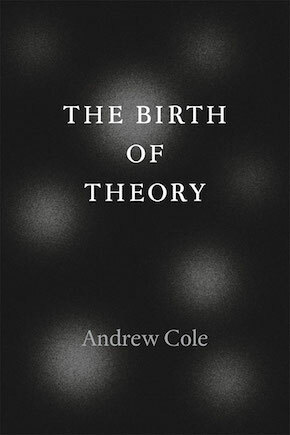 The recently published May 2015 issue of PMLA included a special feature in its “Theories and Methodologies” section devoted to a number of wide-ranging commentaries by contemporary scholars on Andrew Cole’s The Birth of Theory. Cole’s book—readily endorsed by Fredric Jameson and Mladen Dolar, among others—situates Hegel’s dialectic as the ur-theory and method of social analysis from which most of the major thinkers of the nineteenth and twentieth centuries would further constitute “theory” as distinct from systematic philosophy. In collaboration with PMLA, we’re pleased to excerpt the opening of Cole’s own piece for the journal, “The Function of Theory at the Present Time,” which follows below. You can read more about the issue in full here, or visit Cole’s page at Princeton University, here. *** From “The Function of Theory at the Present Time” by Andrew Cole Let me start by defining “theory,” because the definition itself illustrates why we can name Hegel as its inventor, rather than Marx or Nietzsche, both of whom pick up where Hegel left off. As I suggest in The Birth of Theory, Hegel founds theory in his break from Kant, which I regard as the signal moment when philosophy transforms into theory as we now know it. What makes Hegel . 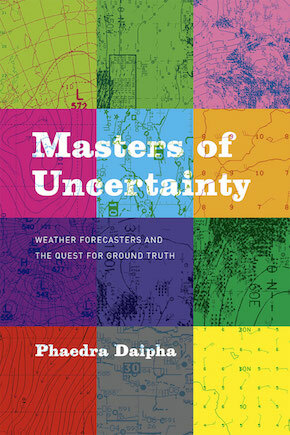 . .
Excerpt: Masters of Uncertainty: Weather Forecasters and the Quest for Ground Truth by Phaedra Daipha *** PRODUCING THE WEATHER FORECAST Protecting America’s life and property against the calamities of the weather is a daunting task to manage, above and beyond the formidable meteorological challenges involved. There is a tremendous range of “weather” for the NWS to keep an eye on: land weather, airport weather, marine weather, fire weather, hydrologic weather. To properly protect America’s life and property against the calamities of the weather, therefore, NWS forecast offices are operational around the clock.“The weather never sleeps and neither do we” is the usual stock phrase Neborough forecasters use to enlighten outsiders about their schedule and, by extension, their importance. The primary responsibility of an NWS forecast office, of course, is to advise and alert about the potential for hazardous weather. Only when hazardous weather warning requirements have been met do forecasters turn their attention to routine products and services. Indeed, during a hazardous weather event, the NWS becomes transformed into what Fine (2007, 40) calls an“activated organization . . . verging on being overwhelmed and understaffed, until routine can again be established.” In this, NWS forecasters readily resemble firefighters, paramedics, and other first responders— . . .